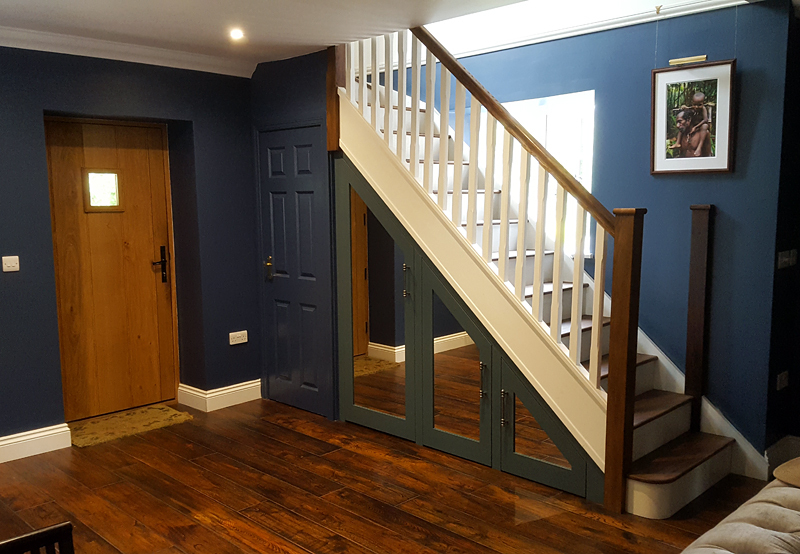 Back in July 2017, we completed a commission for clients in Henton who wanted to utilise the available height in their house as much as possible. 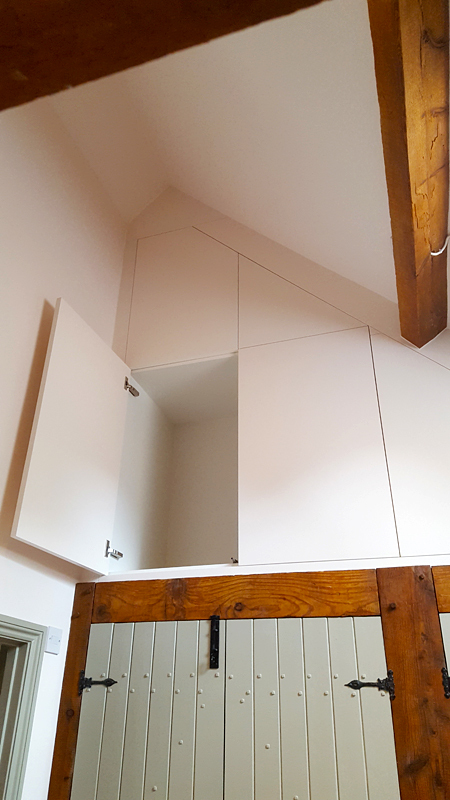 They don’t have a loft space as such, so we seamlessly built in units to look like a continuation of the wall that they were accommodated in. 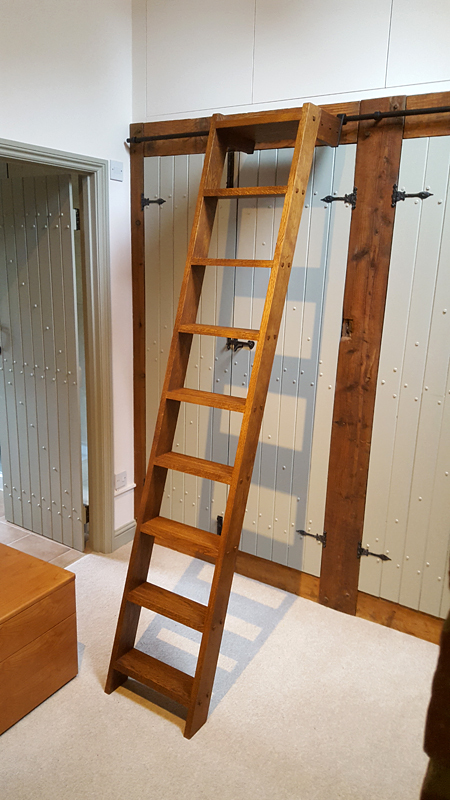 We had the metal bar and hooks fabricated, and then we designed and made an oak ladder for access to the top sections of storage. 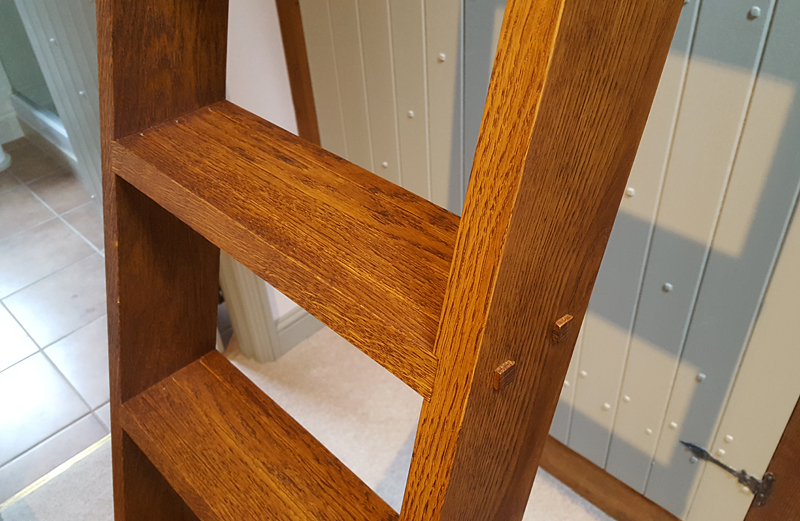 The oak ladder was given as stain and oil finish, and the storage units were painted in the same colour as the walls, which we had spectro-analysed. 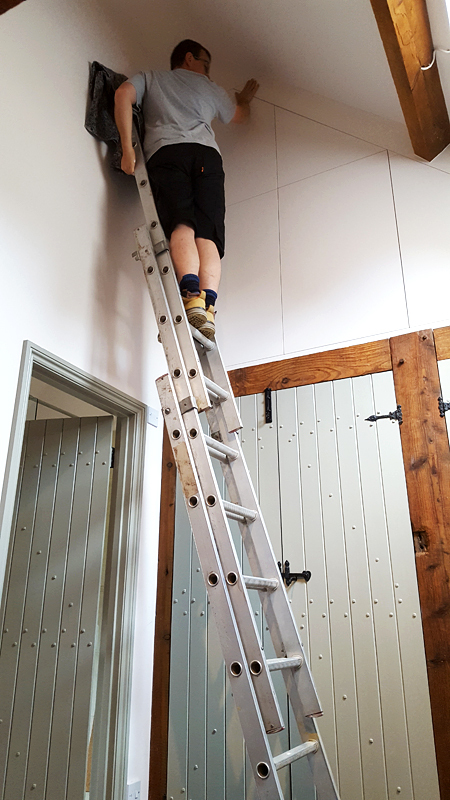 The units were constructed in moisture resistant MDF and maple, and the ladder was as mentioned, made from oak. 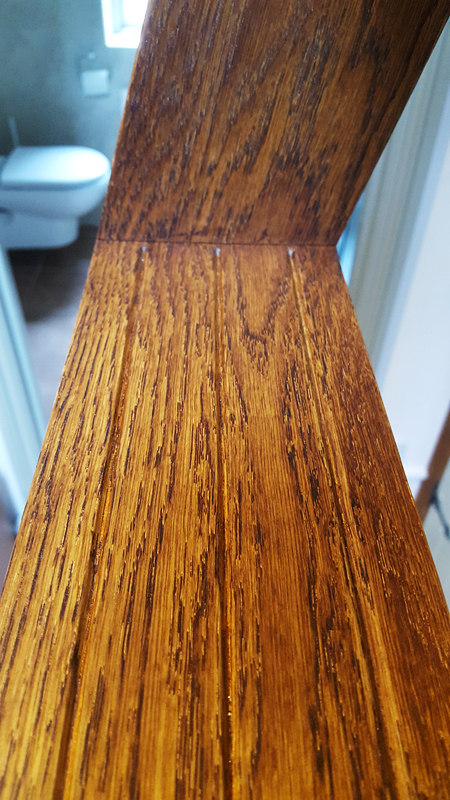 Repeat client wanted more storage as they do not have a loft space all doors are on push catches so handless.